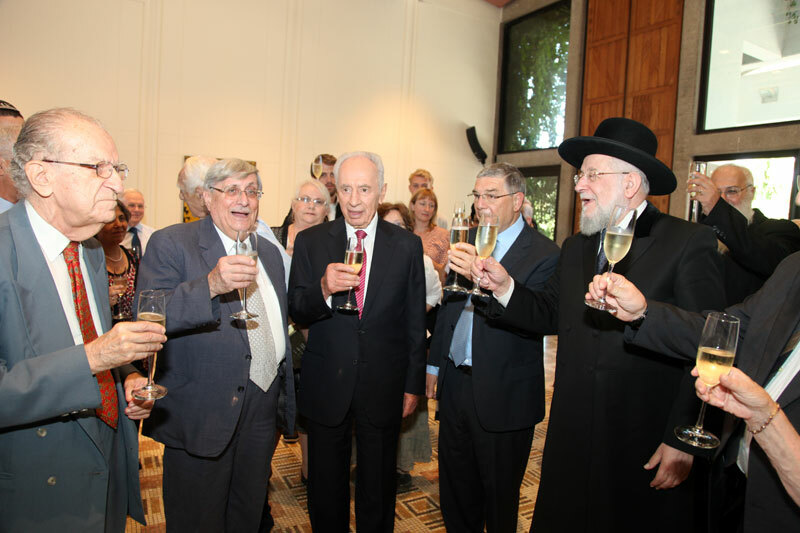 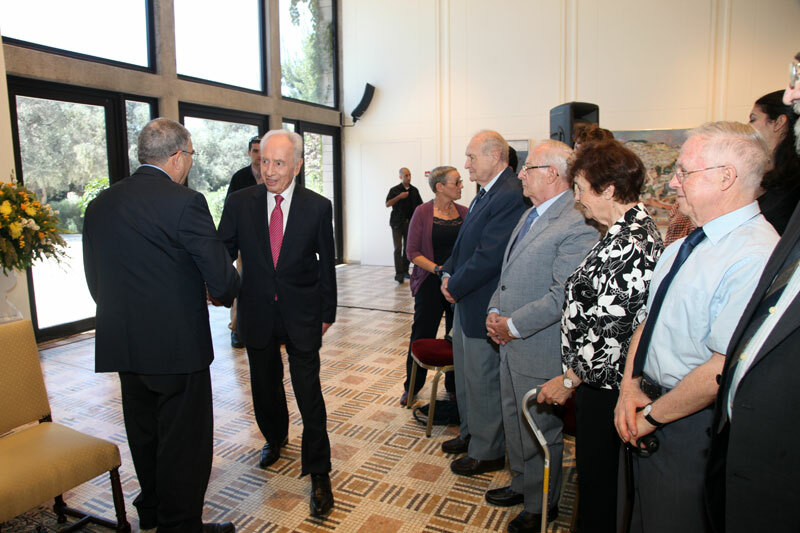 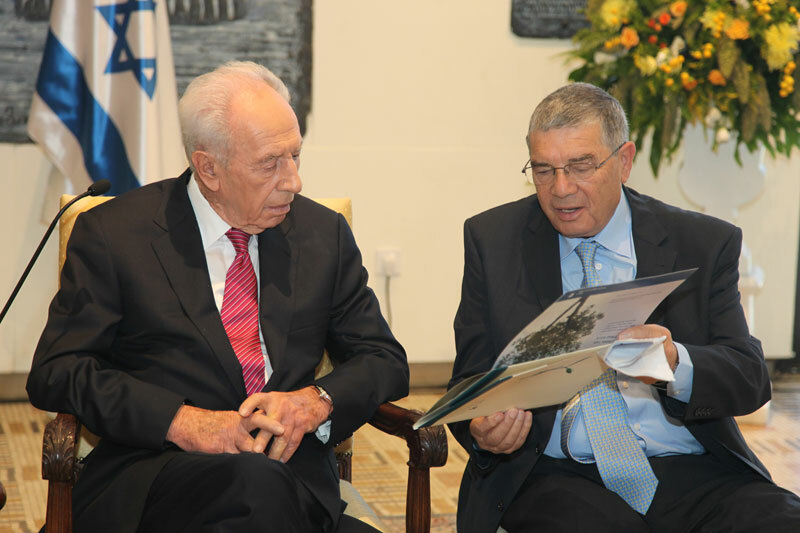 On September 4, 2012 - fifty years after the President of the State of Israel hosted the first meeting of the Commission for the Designation of the Righteous - President Shimon Peres honored 50 years of activity of the Righteous program. 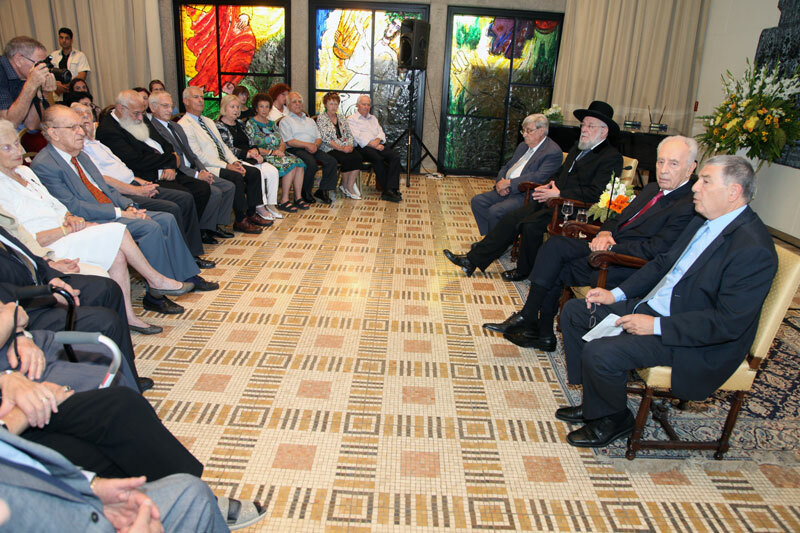 The moving reception at the President's Residence was attended by Chairman of the Yad Vashem Council Rabbi Israel Meir Lau (who was saved by Righteous Among the Nations Feodor Mikhailichenko from Russia), Commission Chairman Supreme Court Justice (ret.) 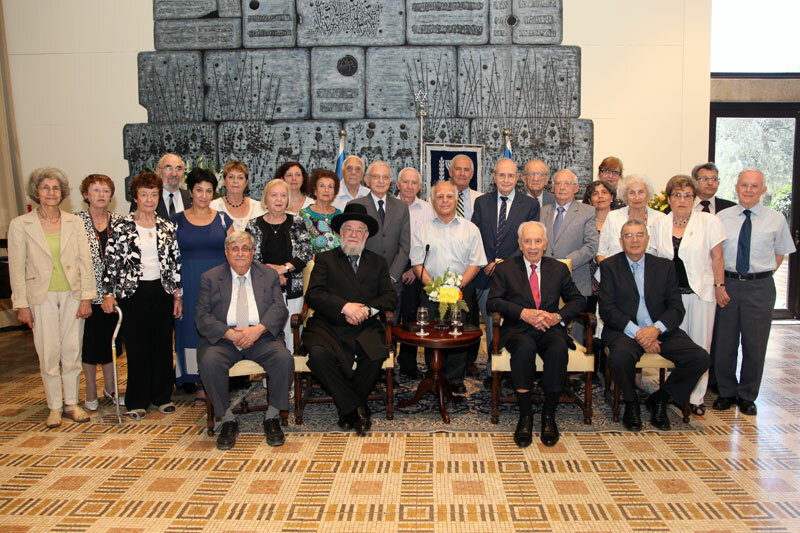 Jacob Turkel, Yad Vashem Chairman Avner Shalev, Commission members and the staff of the Department of the Righteous. 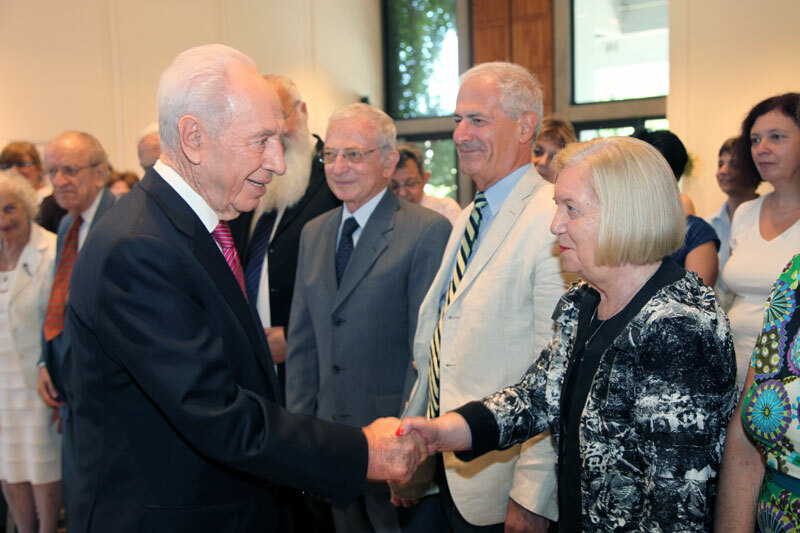 "Your job is not only an historic duty, it is also an educational mission,” President Peres said at the event. 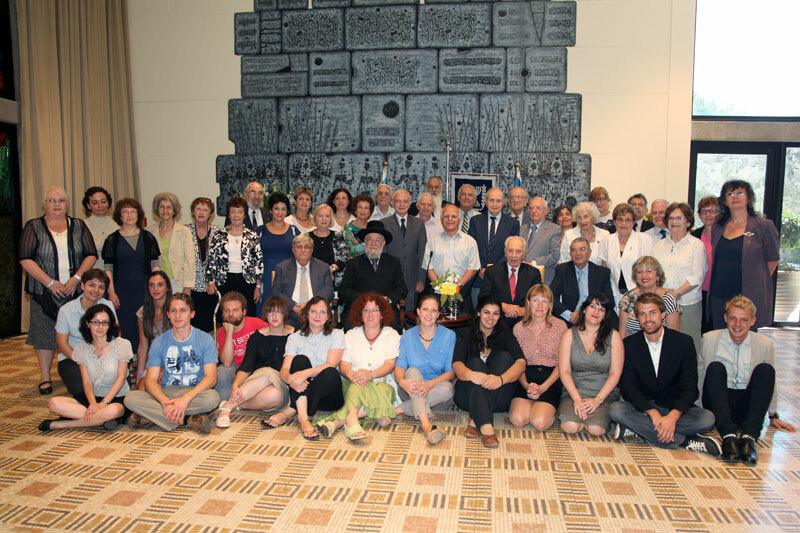 “The recognition of the Righteous Among the Nations is important to those who lived then, but also to those who were born later. 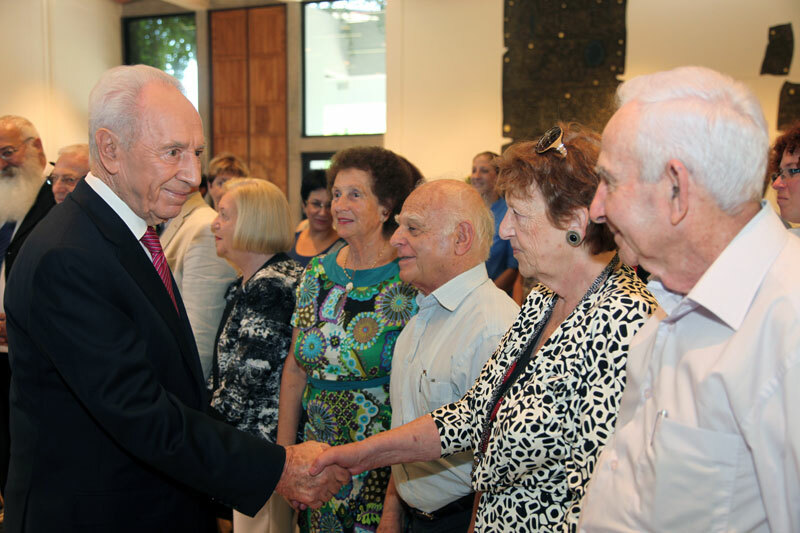 We all need to learn about and appreciate those extraordinary and brave individuals who risked their lives and showed that even during the darkest of days there were people with a shining inner spirit." 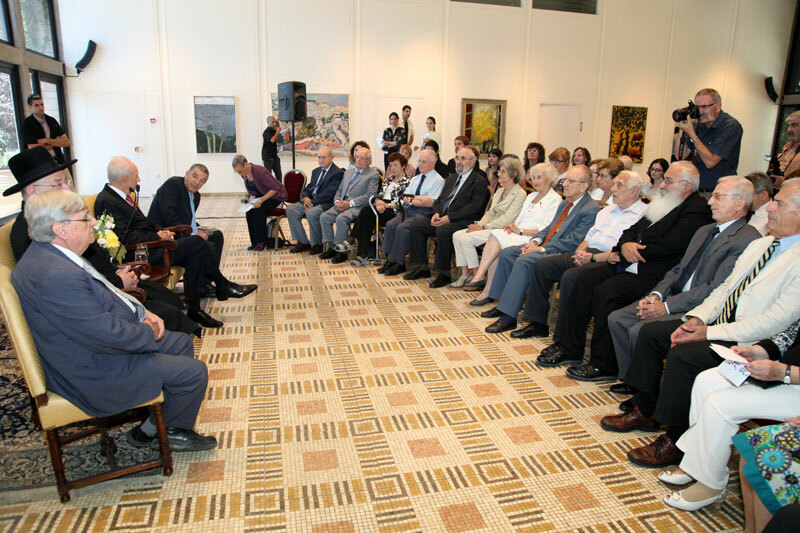 Commission Chairman Jacob Turkel emphasized that "The Commission members…require great powers of inner strength, intelligence and compassion. 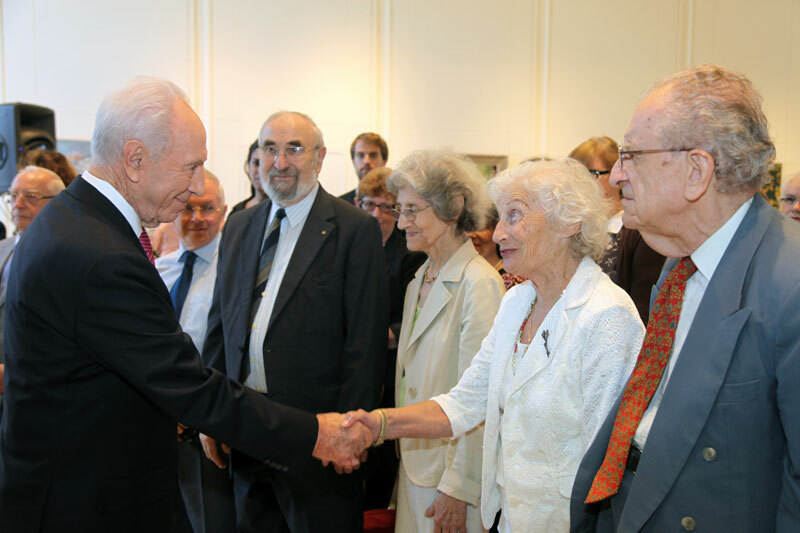 They undertake this sacred work that has been placed upon their shoulders with devotion and love, and out of a deep historic commitment."